In our experience, there's no resisting the beautiful craftsmanship of the Porsche models you'll find in our showroom. If you happen to hail from Warrington PA and are in the market for a new or used car, then you have come to the right place. Because if there's one thing we love more than our lineup of new and used cars, it's serving customers like you here at Porsche Warrington. A new car or crossover is a great feeling--the peace of mind of brand-new components, the sleek feeling of premium upholstery, exciting new technologies and comfort features, and that classic new-car smell. With a fantastic selection of vehicles available in the new Porsche inventory for sale at Porsche Warrington, you're sure to be able to find something that checks all of the boxes on your must-have list. Whether that's a Macan, Cayenne, Panamera, 718 Cayman or 911, our team can help you make it yours. Browse online to see exclusive dealer specials, brand incentives, lease deals, and more. If you have other financial obligations on your mind, you should know that a used car in Warrington comes with just as many benefits as a new car. With affordable prices, decreased depreciation rates, and a dynamic selection of vehicles from previous-generations, used vehicles truly have so much to offer. Once you are the proud owner of a Porsche model, Porsche Warrington wants to help you keep that new car as safe, efficient, and well maintained as possible. Our factory trained staff are pleased to provide you with onsite car service and repair. We utilize the latest automotive car care technology, and exclusively use only official Porsche parts for any vehicle repair, or upgrade. 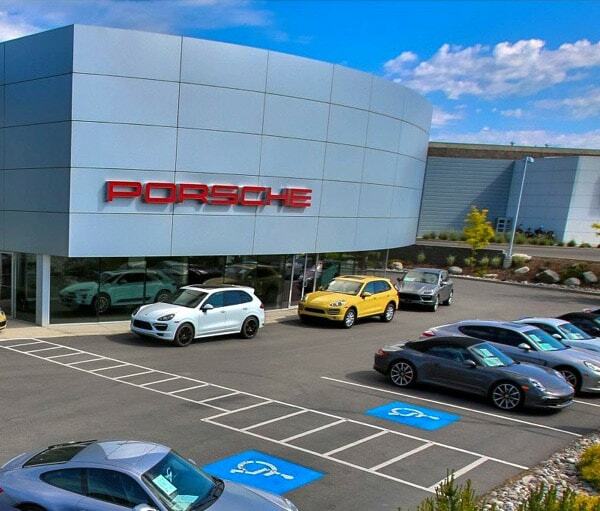 We could go on and on about the experience you're going to have here at Porsche Warrington, but the best way to experience it is by stopping in to see us. Our team is ready to help and provide you with a positive experience, so come on down to 1607 Easton Rd Warrington, Pennsylvania today!